If you are looking to add some variety to your passing drills, take a look at the circle passing drills described in the video below. When designing of selecting drills to use in practice there are several things to consider. 1. Does the drill help practice or teach something that actually occurs in competition? 2. Is the drill efficient? Do players get multiple reps in a short amount of time? 3. Can everyone be involved without players standing in line waiting? The circle passing drills check all three of these boxes. The drills are easily adapted to various skill levels and can be used to teach a wide variety of passing/ball handling concepts. They are great warm-up activities for practice or great teaching stations in camps and clinics. These drills present a great way to have a large number of kids getting multiple touches in short period of time. The circle passing drills are presented by Bert Ingley from Ultimate Soccer Coaching. 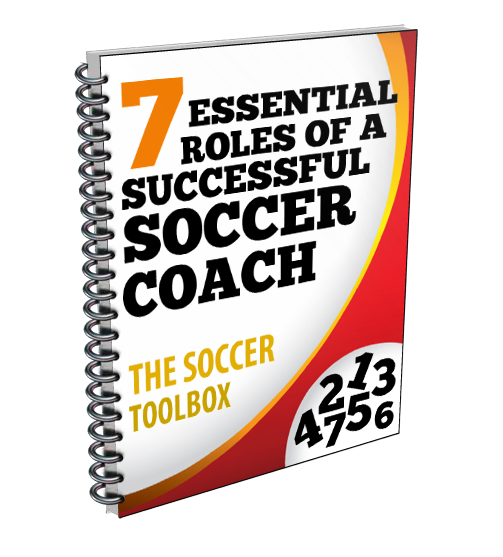 For other great coaching videos check out Ultimate Soccer Coaching YouTube Channel or for other tool to help you coach click on the link above to visit their site. 3-5 Players are positioned around the circle with one player in the center. A perimeter player with the ball will dribble into the grid and make a pass to the middle player. The middle player will take a couple of touches and then pass to another perimeter player. After passing the ball each player will follow his/her pass. Position players around the circle (no player in the middle). Player 1 will dribble into the circle and make a pass to player 2 on the perimeter. Player 2 will quickly return the ball to player 1 in the middle. Player 1 will then turn and make a pass to a third player on the perimeter. Player 3 will dribble to the middle and make a 1-2 pass with another perimeter player. Player 1 will take player 3’s position. This drill begins just like drill two. Player 1 dribbles middle and makes a 1-2 pass with player 2. After receiving the return pass, player 1 turns and passes to player 3. Player 2 now makes a run to the center and receives a pass from player 2. Player 1 takes player 2’s spot and the sequence repeats. Once the players are comfortable with the drill add another ball. This increases the number of touches and creates an opportunity to practice communicating on the field.